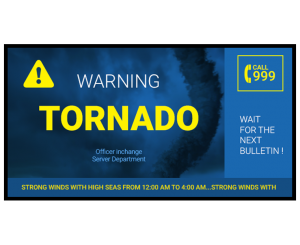 Digital signage can provide emergency alerts and clear instructions about how building occupants should respond across schools, campuses, corporate offices, and hospitals. 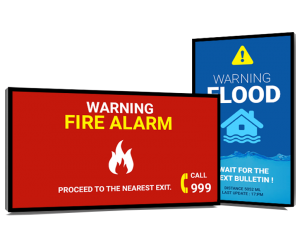 Updates should be provided more easily so that people can act urgently, if necessary, otherwise know when to remain calm and cooperative. 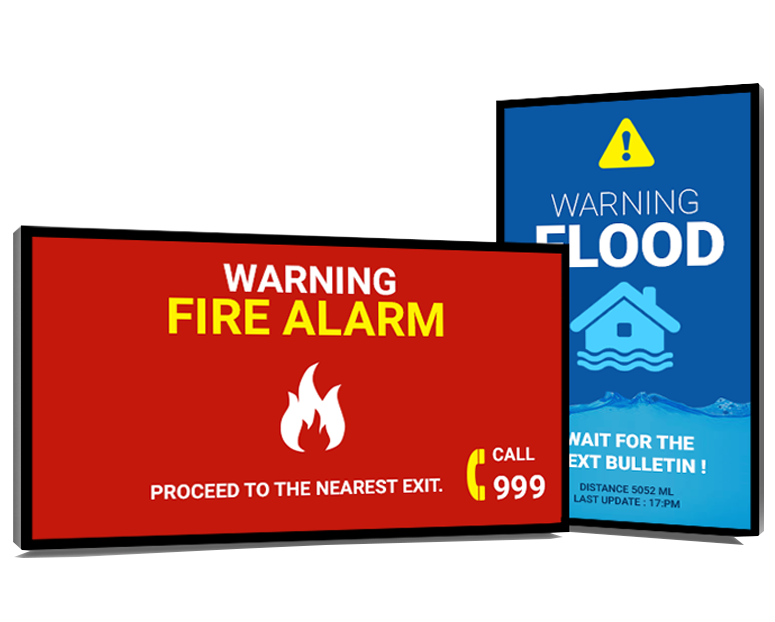 As an emergency response tool, digital signage is being used in schools, malls, hospitals, corporate offices, government institutions and transportation services. 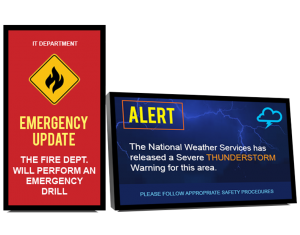 For emergency messaging displays, overlay existing building directories with specific instructions, including directional arrows and exit route maps, to assist patrons in finding different exits. Xhibit will download and display the media playlist as scheduled.